Duffy the mobile robot moves alongside you connected through a “light leash” and alerts you of objects around the path. Audible Vision is designed to alert a person of objects around them. 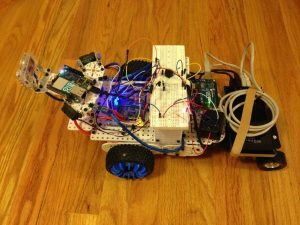 The project’s brain is the Arduino Uno, which is wired up with two IR Distance Sensors to tell you how far an object is. Mounted onto the Arduino is a Bluefruit EZ-link Bluetooth shield that connects to any Windows 10 device, e.g. Laptop or Phone. 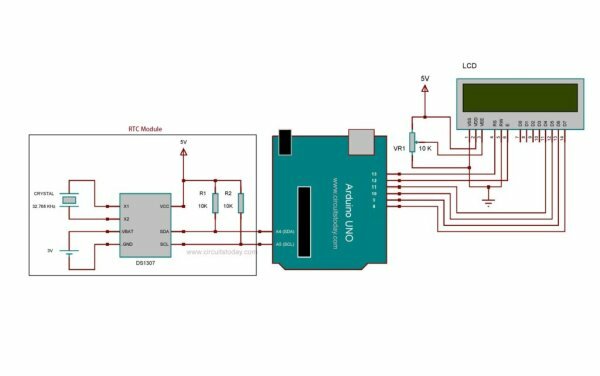 The device should run the Virtual Shields for Arduino App and use the Windows 10 speech synthesis capability to tell the distance. In order to expand this concept into a robot, stack a Motor Shield onto the Uno and obtain a mobile platform to place the sensors and microcontroller. 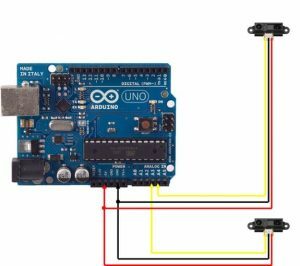 Wire up a Light Sensor and a Remote IR Sensor to the analog pins of the Arduino, and you have a robot that is controlled by a remote, stays close to a walking person with a leash enabled by a light beam, and warns the person of objects ahead or around their vicinity. For additional fun connect up a Piezo buzzer and Siren to beep when changing direction. Since I already had a Multiplo-based robot, I mounted the Arduino Uno with the Bluefruit and distance sensors onto the Multiplo-Bot because of the Uno’s unique Bluetooth compatibility. But for the rest of the items (Light Sensor, Remote IR Sensor, Piezo Buzzer and Siren) I used the already-existing microcontroller “Duino-Bot”, which drove the motors of the Bot and used a Ping Ultrasonic Sensor to detect objects. In the future, I plan to connect the two microcontrollers. The final contraption, “Duffy”, is a mobile companion that is directed with a remote, and senses and alerts the user of objects close by. It took me just about a week’s worth of tinkering in my spare time during my High School Winter break. This project is simple to create and has a variety of possible add-ons. 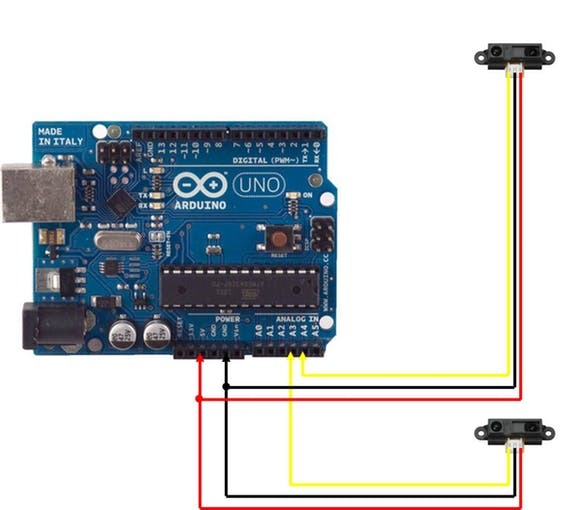 Instead of using a Windows 10 laptop, a Raspberry Pi running Windows 10 can be connected serially to the Arduino. A GPS shield stacked onto the Uno can provide the robot with its exact location. Or instead of using a robot, a tiny Arduino such as the MKR1000 can be fitted into a walking cane with IR sensors, which can communicate to a Windows Phone via Wi-Fi and inform a visually impaired individual of objects around them.